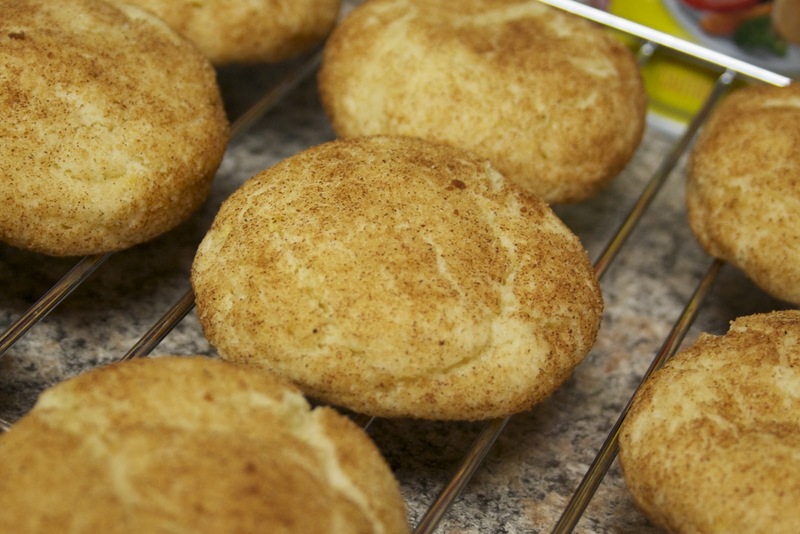 I am going to interrupt the regularly scheduled beauty programming with this brief baking interlude about what might be the most bizarrely named, but oh-so-delicious, cookie in history: the Snickerdoodle. While most cookies have descriptive titles (think chocolate chip, peanut butter, oatmeal, molasses) the Snickerdoodle bucks that trend, as its nonsensical name fails to give any indication as to what it really is: a glorified sugar cookie dipped in cinnamon sugar. 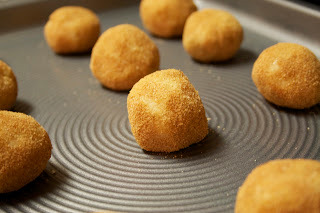 They have been my favorite type of cookie for a long time, not just because they are scrumptious and super simple to make, but because I have a vivid childhood memory of my sister deciding that she was going to bake these without any assistance, and she ended up using salt instead of sugar. As in a cup and a half of salt. As in inedible. I am a big stress baker (try it out sometimes, baking can be super relaxing) but this time I was actually baking for charity. In any case, I whipped these puppies together in no time using this recipe from Allrecipes.com. I went for this recipe over lots of other ones because most called for shortening (aka Crisco) in the recipe, which I refuse to consume. No cookie is healthy, but a cookie made with butter is better than one with shortening. In any case, I was happy with the end result and happy that they were going towards a good cause!